New Delhi: After MCD workers protested outside Delhi chief minister Arvind Kejriwal’s residence, the workers on Friday held a meeting and decided not to return to work unless they are given their dues. 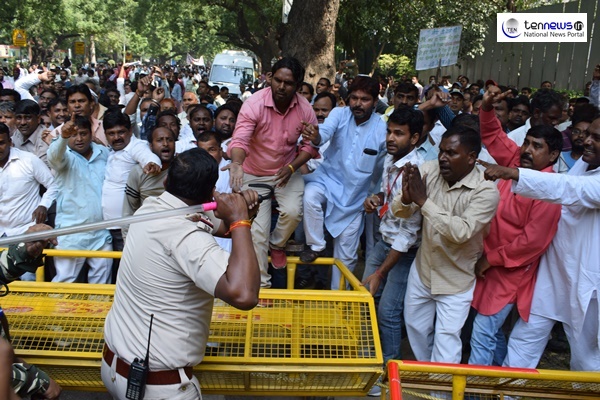 On Monday, Things took a violent turn when MCD workers got into a scuffle with police and the police had to resort to Lathi Charge to contain the situation. The workers have been on strike since September 12 over long-standing issues, including non-payment of salaries, arrears, regularisation of posts and health benefits. The areas affected by the strike include Lakshmi Nagar, Geeta Colony, Shakarpur, Laxmi Nagar, Krishna Nagar and parts of Mayur Vihar. On the other hand, mayor of East Delhi Bipin Bihari has claimed that the strike will be resolved soon.Bihari claimed that they have been in constant touch with the MCD workers and the Delhi government had informed the SC that it would release Rs 500 crore to help the body overcome the current crisis.